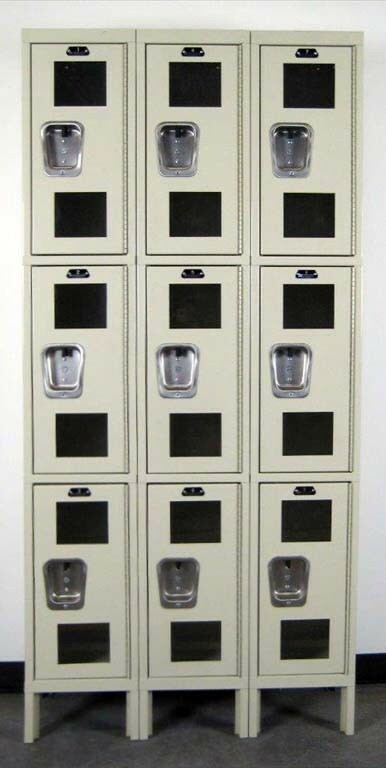 These Hallowell Lockers With Clearview Doors are available on www.buyusedlockers.com where they have a huge selection to choose from if we need additional supplies. 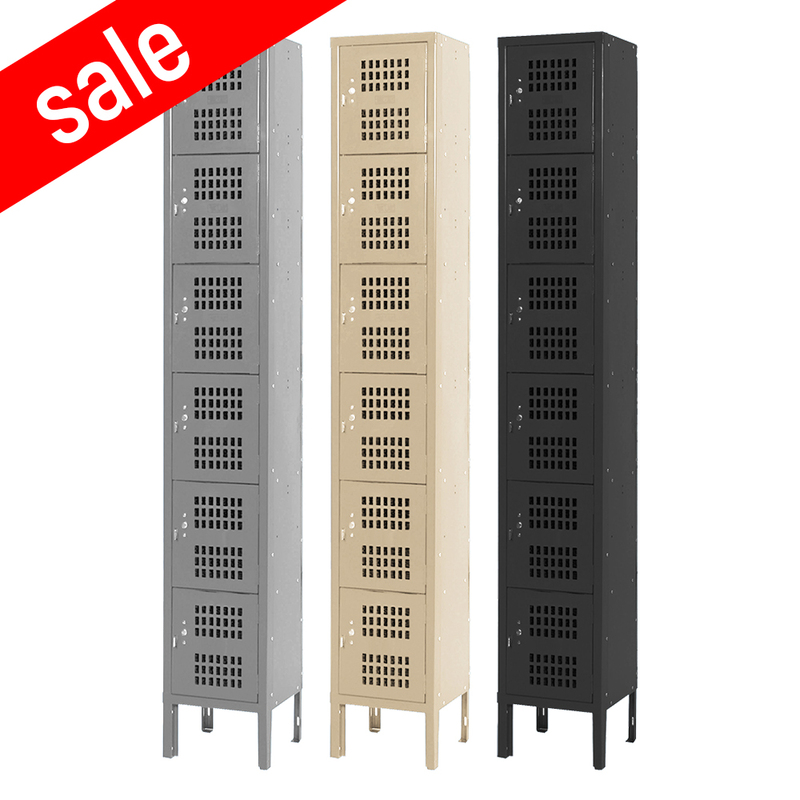 Dimensions: 12" x 12" x 72"
Brand new triple tier lockers with clearview doors have been discounted to an exceptional value! They are 100% functional with some minor cosmetic damage which occurred during shipping. 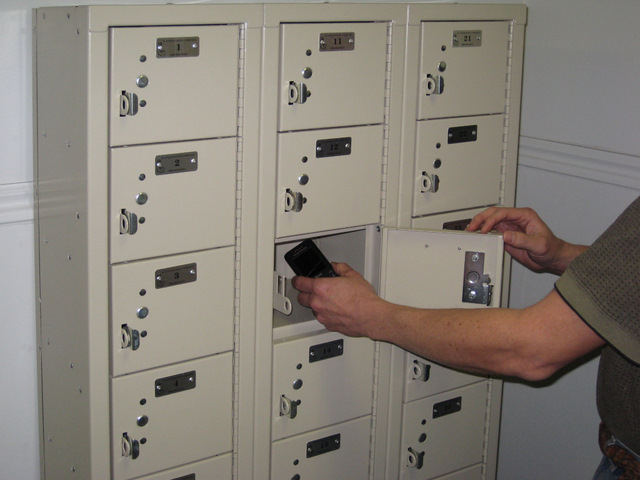 The neutral tan color would look great in any setting such as schools, offices, or employee locker rooms; while the scratch resistant polycarbonate clearview doors provide a high degree of visibility for visual inspection of locker contents. 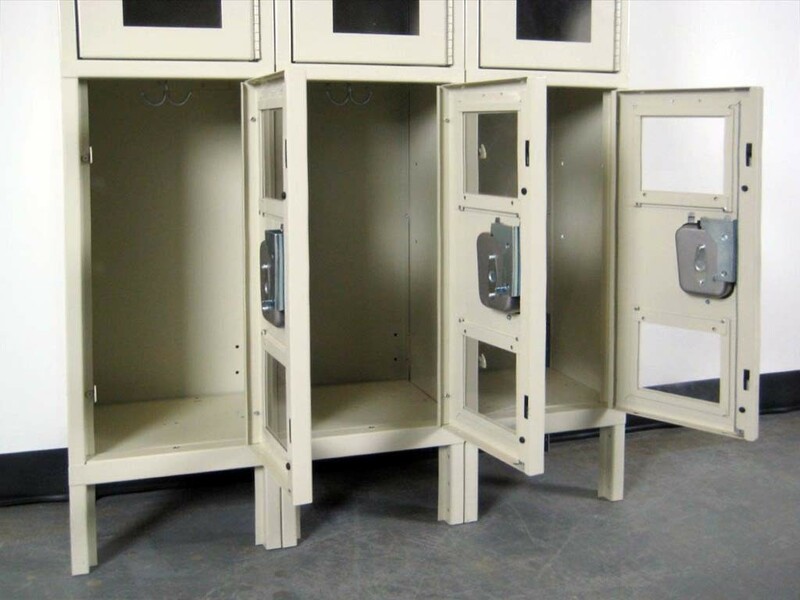 Each individual locker compartment measures 12” wide x 12” deep x 24” high, and is equipped with coat hooks and a padlock ready recessed handle. Includes 6” legs making the overall height of the unit 78” tall.